Prayer for safe travel. Prayer for traveling grace – family, loved ones, friends safe trip. It is good to say a prayer after returning from a journey or before starting on a new it. Whether we travel by car, plane, or ship thanking God for a safe trip show how grateful you are for journey mercies knowing that a lot of dangers are always on the roads we pass through every day. There are many “roads demons” out there looking for a prey to feed. Also, we have many road users engaging in dangerous activities that might cost human their precious lives; such as texting while driving, driving while intoxicated, over speeding and the likes, its only takes God’s mercy and grace to reach our various destination without been a victim. we love and thank you for granting us a safe trip. Your mercy has preserved us from all road evil and we can travel in safety to our destination. We are grateful for your tender care and protection. Please Lord, in future we pray you extend same protection over us. This we ask in the name of Jesus Christ, Amen. we thank you for everything you have done for us. Even as we about embark on this journey, be our guide and our protector. Watch over us and save us from any form of accident. Keep us free from harm to body and soul. Lord, please support us with Your grace when we are tired. Help us to handle any trouble which may come our way. Keep us mindful of Your presence and love always. Amen. I commit my journey into your hands as I fly out today, watch over me. Let your hands of protection be on the pilot, guide the engineers that prepare the plane and give wisdom to the control teams on the ground. 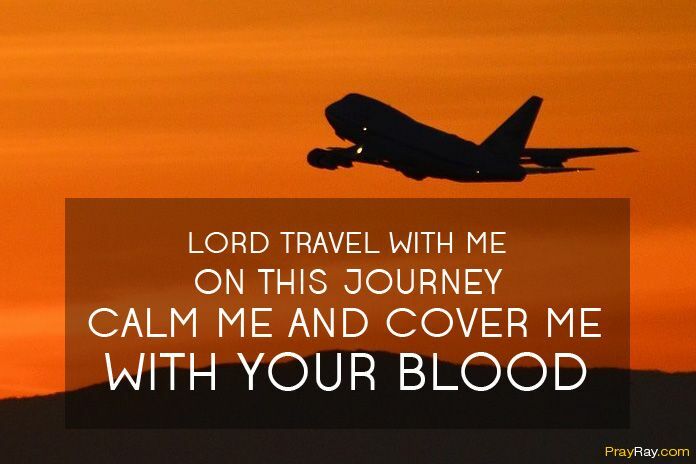 Travel with me on this journey, calm me and cover me with your blood. In Jesus name, I pray. Amen. The above prayers for traveling grace brings comfort, security and acknowledges Gods love and grace over us. As Psalm 121:7-8 says, “The Lord will keep you from all harm – He will watch over your life; The Lord will watch over your coming and going both now and forevermore”. Why should We Pray for Traveling Grace? Prayer for safe travel. Going on a journey either long or short is what everyone does on a daily basis. So a prayer for traveling grace is essential to let God know we appreciate His presence or want Him to go with us on our journey. It could be a trip to school, vacation, business or any trip we need to travel. Although the majority of people who drive might be a good driver that obeys all traffic rules but still believes they need the divine protection from God and this they ask through prayers. Psalm 23:4 says “Even though I walk through the darkest valley, I will fear no evil, for you are with me; your rod and your staff, they comfort me”. Ephesians 5:15-16 says, “Look therefore carefully how ye walk, not as unwise, but as wise; redeeming the time because the days are evil”. The Bible makes us understand that all days are full of evil. Life is challenging as well as the road we pass through every day, danger looms everywhere. No clear sight of what is ahead of us nor the kind of people we share a road with that might cause havoc, that is why we need to commit our ways to Gods hands through prayer for traveling grace and let Him take over the wheel to bring us to safety. How our Prayer for safe Travel can Help? Most times when we travel, we might suddenly feel anxious or fearful for a specific reason or even unknown reason. At this point, God will remind us He is with us because we have asked Him to come along. One thing is sure, prayer changes things, and it works, therefore when we pray for traveling grace, there’s a feeling of peace, security, and comfort that overwhelmed us during this challenging time on our journey. God has promised us peace and safety as His children. If you are traveling to do God’s work, on vacation, visiting relatives, or business trip, remember we are on earth to serve as traveling grace in going with God.